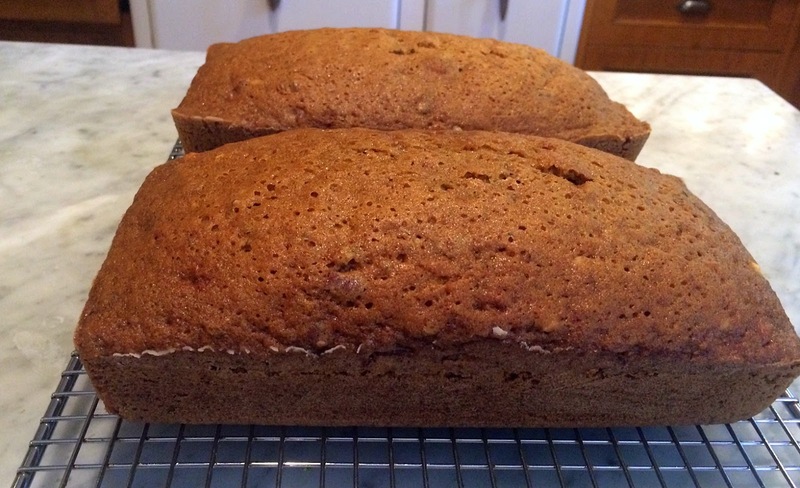 It's hard to get excited about zucchini bread, but it's an excellent venue for this summer squash, which I always buy in enormous quantities intending to prepare as a vegetable but somehow always manage to transform into chocolate cake, cookies or even "apple"pie. 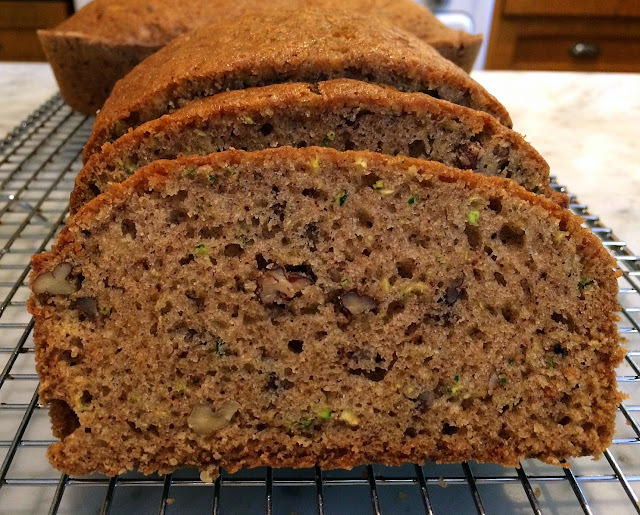 So before the season ends, here's a moist and rather delicious, albeit not guilt-free, way to "use up" all those good farmer's market intentions. Below is the mis en place. 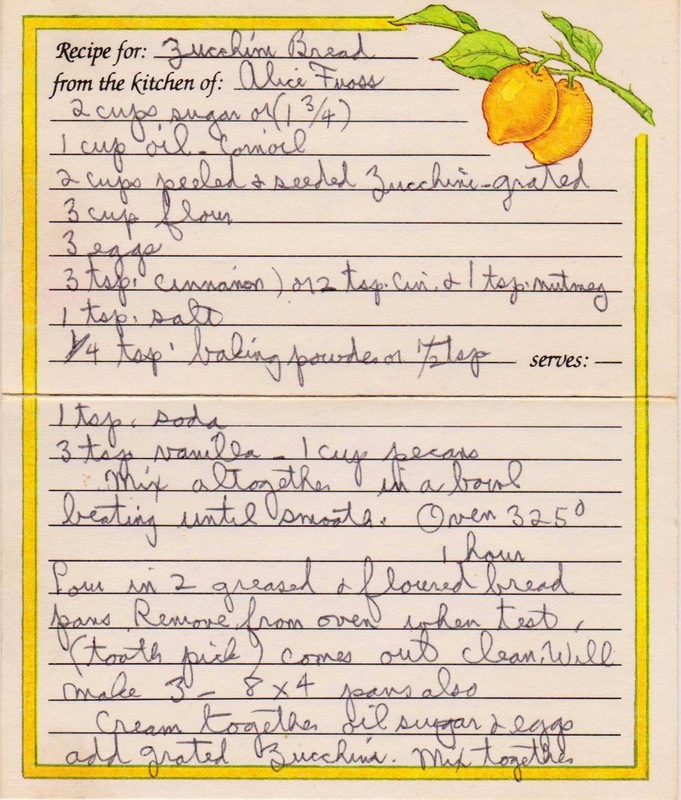 There are but two cups of sugar in the recipe, making the bread not overly sweet, which is typical of vintage recipes. 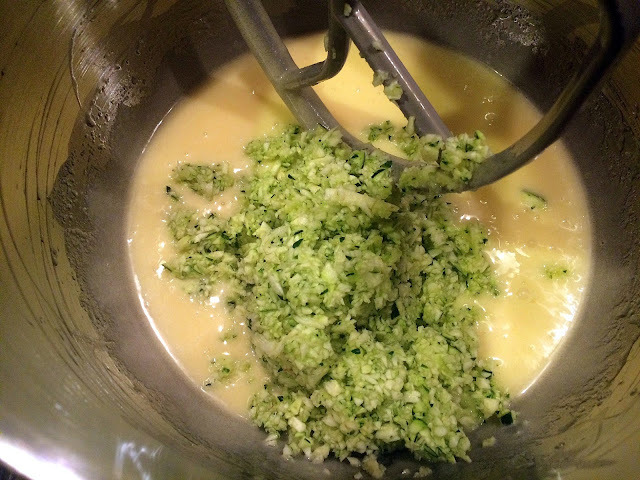 It's a very quick recipe, especially if you grate the zucchini in a food processor. 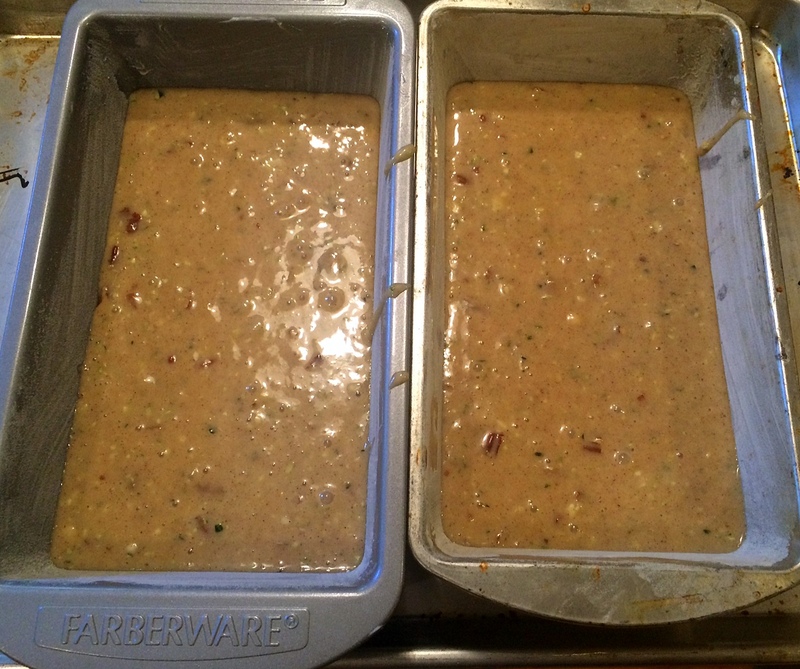 Pour the batter into two greased and floured bread pans. 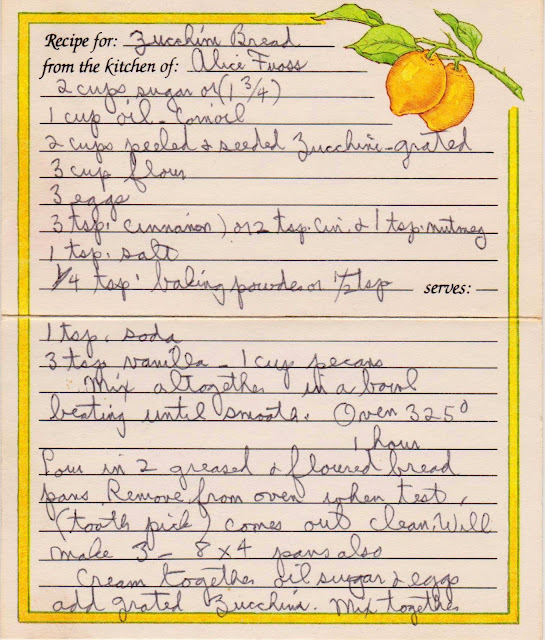 Production notes: I followed this recipe exactly, using the larger quantity of sugar. 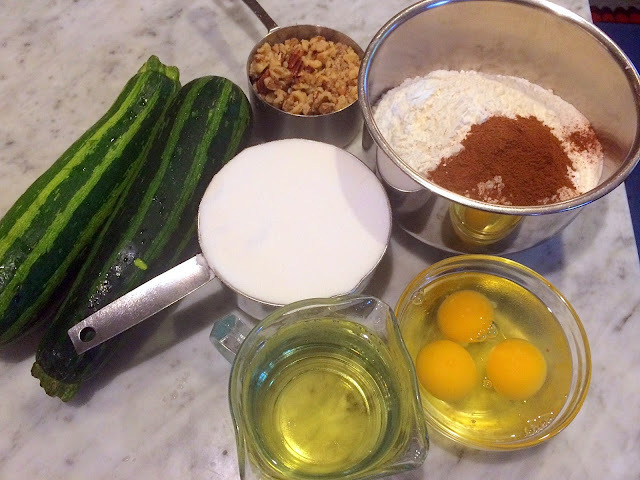 I did not seed the zucchini, but if you use ginormous ones, it might be a good idea. I used the larger quantity of baking powder, used vegetable (not corn) oil, used both cinnamon and nutmeg, and did not add the optional dried fruit. 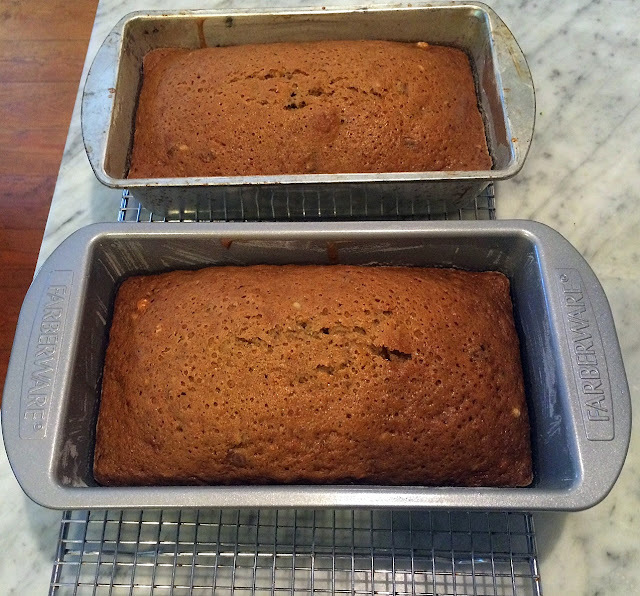 I covered one pan with aluminum foil and left one uncovered but didn't notice any difference between the two. Hope everything is okay, it's been a while since you've posted. Aw, thanks for your concern Mary Ellen. All is well, just very, very busy. Will post soon! Just whipped this recipe up today - Had some left-over zucchini just begging to be made into something ! !